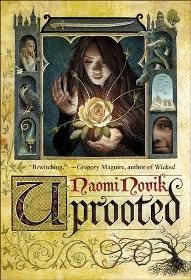 Uprooted by Naomi Novik was my 3rd. 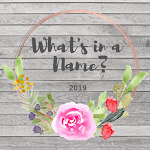 book for Bev's Mount TBR 2019 reading challenge. In the idyllic village in which Agnieszka lives there is a problem. Every ten years the 'Dragon' takes a girl and this girl is lost to her family for another ten years. The dragon is not actually a dragon at all, he's a wizard, and no harm comes to the girls, they return after their ten years is up and nearly always go to live somewhere other than the village because they have been changed in some way. Another choosing is fast approaching but the villagers are relaxed. They know who will be chosen, Agnieszka's best friend, a girl named Kasia, who's head and shoulders prettier and braver than all the other girls. Except that's not what happens: Agnieszka is chosen instead. It's a huge shock to one and all, particularly Agnieszka. The other problem the village has is The Wood: something malevolent lives there and controls it. It's the reason a wizard lives in the tower, his job is to hold back The Wood and stop it from encroaching, smothering the valley and possibly the whole land. It kills people as it goes, and not in a nice way, they're locked inside trees and become corrupted. But Agnieszka is different to the other girls that have been taken by The Dragon in the past - she has magic and refuses to be just a skivvy. Things are about to change. I've had this on my TBR pile for four or five years and never quite got around to it, so on the basis that I am trying to get rid of a few of my older books I did the random grab thing and read it. It read a bit like a retold fairy tale, a sub-genre of Fantasy that I'm not that crazy about, but I couldn't pin down which fairy tale so that was fine. I think I read somewhere that it might be a Polish fairy tale and it did read like that I must admit. I gave it four stars on Goodreads despite the fact that I was slightly ambivilent about it. Four stars because I loved the writing and the setting of a forested valley was sublime - beautifully described it felt so real. The story itself, well I found it rather exhausting to be honest. Non-stop angst and very little that was happy or good ever happening. It was relentless. I got to the end but couldn't read more than 50 pages without needing a break from the angst. I think I've turned into a wimp in my old age, although I don't react in this way to crime/murder stories so 'go figure' as they say in the US. I was also a little uneasy about how the wizard treated Agnieszka at the beginning, one or two scenes felt a bit off to me, but that's possibly just me being sensitive. For most fans of fantasy books I think this would be an excellent read and very enjoyable. It's beautifully written, exciting, action packed (but like I said, possibly too much for me) and full of well-rounded, individual characters. And I liked the idea of a forest being taken over and turning evil. It felt very original and I liked that. 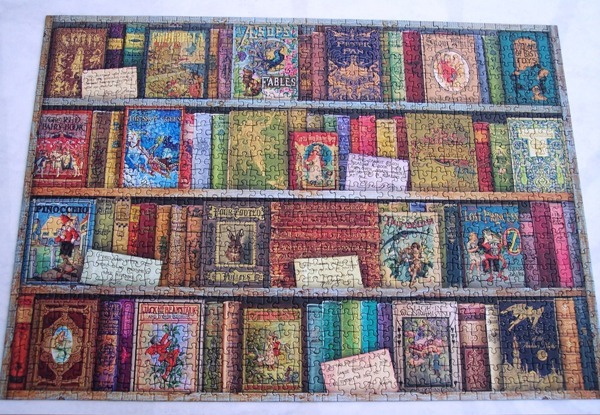 I've have books om my shelves for years too before I get round to reading them. Sometimes it bothers me but other times I find it comforting to know I'll always find something to read. I was thinking I'd like to read Uprooted until you said that about it being non-stop angst - I can do without that, and the 'off scenes' too. It was what we book bloggers often call a 'roller-coaster' of a book, it's not often a book wears me out but this one did. Christina: I absolutely agree with you about the beauty of the writing style, I was captivated by the valley and the woods, not so much by the king's court though. Yes, Sarkon grew on me too... in the end.